A natural therapeutic way to care for your body and feet. A relaxing bath soak with our specially formulated bath salts helps relieve and heal sore muscles and improve circulation! Simply add 3 to 5 tablespoons to running water. Soak for 15 minutes. 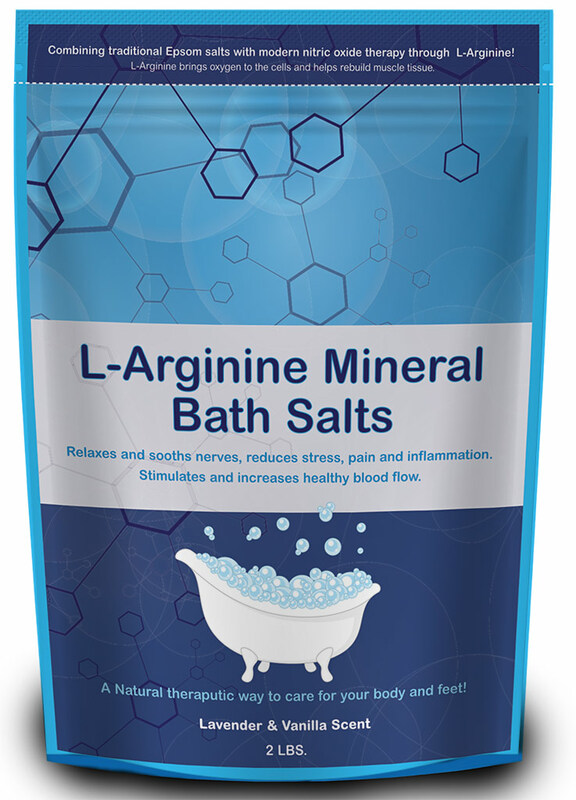 L-Arginine brings oxygen to the cells to increase circulation. 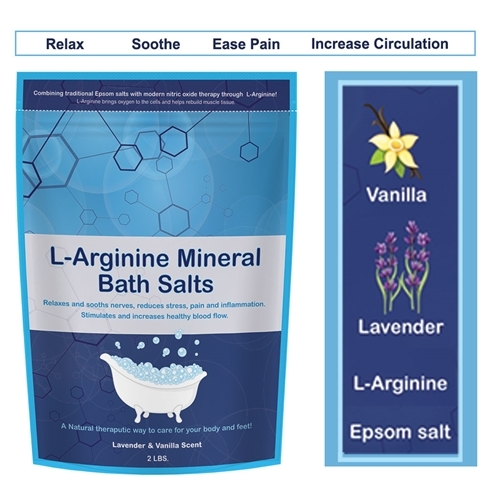 All Natural Ingredients: Epsom salts, vanilla, lavender and L-arginine.